How have ya'll been? I apologize for my absence but I've been busy settling in to my new job and living in NYC. You can imagine it's a bit of a change coming from Kentucky! However, I did push open my first set of subway doors tonight like a typical new yorker trying to catch the train does. Guess that means I'm settling in quickly huh? 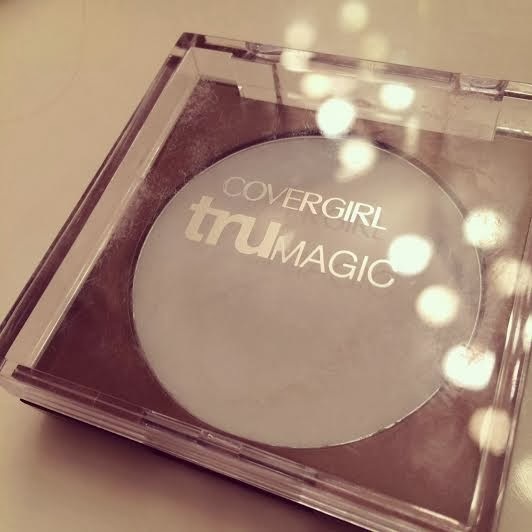 Today's post is a review on Covergirl's TruMagic skin perfector. The Covergirl truMagic launched with their new formulation of their TruBlend foundation as well as truMagic bronzer and illuminator. Covergirl's website says, 'This innovative perfecting balm was designed to wear alone, under, or over makeup. My first thought was this seems similar to Mally Beauty's face defender, and then Stila recently released their Stay All Day Prime & anti-shine balm. However, I can't comment on those products because I haven't not had the chance to use them. The Product: Overall, I'm very pleased with the product. I do think it does a decent job of minimizing shine throughout the day and an even better job at concealing the appearance of pores. I found that I like it best under my makeup as a primer, where it really does a nice job at smoothing out the appearance of pores and imperfections before foundation. The Application: I was a little confused by the product in the beginning, when you first touch the product you think it will be waxy and heavy on the skin but surprisingly after just a second of smoothing onto the skin it's silky and light. It really makes your skin feel amazing! I think the most effective way of applying the product is with a sponge or your fingers. The Packaging: Awful! They really got the packaging all wrong with this product. It's extremely clunky, the lid is about an inch of unnecessary plastic and also scratched after the first day of being in my purse. It generally just looks a bit tacky and really think CoverGirl could have stepped it up a bit since the product is so nice and innovative for a drugstore brand. Take note of Maybelline's new powder foundation packaging where it has a mirror and and separate area to keep your sponge at nearly the exact same price - now that deserves a happy dance! Have you tried any of the new Covergirl products? Let me know what you thought of them, or products you want to try!